There were also very good and progressive kings – mostly in the South. Within days of ascending the throne, Maharaja Chamaraja Wodeyar of Mysore started to experiment with a representative assembly in 1881. Two decades later his concept of inclusive democratic governance was implemented when the legislative council was set up in 1907. 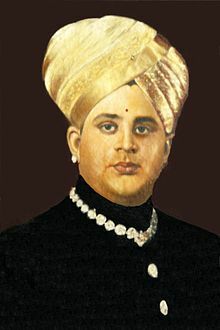 His successor Maharaja Nalwadi Krishnaraja Wodeyar took it forward. Even today the Wodeyars are revered in Mysore and the Maharajas’ pictures are hung in in most houses in that city. 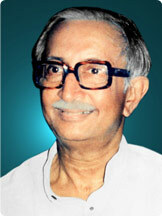 The Maharaja of Vizianagaram in Andhra Pradesh, Pusapati Vijayarama Gajapati Raju (father of the present Union Minister Ashok Gajapathi Raju) gave away his palaces to set up colleges, started South India’s first music college and was a Socialist before he joined Congress and became a Minister. He was the only politician in India who did not know of Jawaharlal Nehru’s death as he was in coma for a year then, following a road accident in Punjab. Close to Vizianagaram there was a kingdom of Pithapuram whose Raja supported the freedom struggle and sheltered many freedom fighters. Feudal mindset made our ancestors ‘loyal’ to those who became kings simply because their fathers were kings,. It still prevails in the shape of political dynasties. In independent India’ s first general elections all ex-rulers who contested (mostly as Congress candidates) had won. And, after the abolition of privy purses in 1972, the dark-skinned modern Maharajas who replaced the White rulers became the new Rajas to enjoy privileges that let them accumulate huge wealth. Politicians became the new privileged class and dynasties rule almost all parties — Congress, Janata Dal-S (S for sons, not ‘Secular’), Biju Janata Dal, Shiv Sena, Telugu Desam, Lok Dal, ‘Rashtriya’ Janata Dal, Telangana Rajya Samiti, Shiromani Akali Dal and others. She is the Queen of the massive palace in the hearts of the national capital! She is the privileged resident of 10 Janpath, New Delhi, for over 25 yrs. 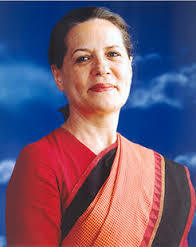 Originally from a poor family in Italy, she prospered in India to become the world’s fourth richest politician. She made herself worth $2 billion just by being an Indian politician. She is none other than Antonia Edvige Albina Maino aka Sonia Gandhi. Sonia Gandhi, richer than Queen Elizabeth of England, is the resident of 10, Janpath, which is bigger than the Prime Minister’s official residence, 7 Lok Kalyan Marg (previously Race Course Road or RCR). As per the reply to a RTI query, Congress President Sonia Gandhi’s home is spread over 15,181 square meters. It is bigger than the Prime Minister’s residence at 7 RCR, which is spread over 14,101 square meters. The question arises: How is this discrepancy justified? The president of a crumbling political party occupies a residence bigger than that of the Prime Minister of India. And this at taxpayers’ expense !. In a democratic country like India, the people’s opinion should matter, The verdict is : 73% voted ‘No’, 26% said, ‘Yes’ and 1% voted for ‘May be’. Is this ‘writing on the wall’ enough indication that Sonia should pack her bags, respect the voice of democracy and quit ? In 2013-14, the maintenance cost for the electrical fittings at 10, Janpath was seven times more than in the previous year and amounted to Rs 51,43,318. In 2012-13, the bill was Rs 7,82,968 and in 2011-12 it was Rs 2,65,681. The CPWD maintained the fittings all these three years. 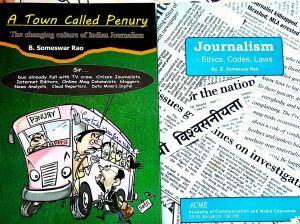 These figures were revealed by the CPWD in an answer to a RTI query. These expenses are paid by the Government. In other words, the expenses for the lavish stay of the Italian queen are paid the tax-payers! The bachelor son of Sonia Gandhi, Rahul Gandhi doesn’t stay with his mother at 10, Janpath. Wonder if it is too small for a two-member family! He has a separate bungalow allotted to him at 12, Tughlak Lane, which is 5,022.58 square meters in area. Being a Member of Parliament, it is his right! But, on moral grounds, can’t the Gandhis help to save the taxpayers’ money and cut costs? The funny part is, Sonia Gandhi’s married daughter Priyanka Vadra has also been allotted a 2,765.18 sq. meter bungalow at 35, Lodhi Estate Priyanka is not a MP, but just a member of the privileged Gandhi family . Whether in power or out of power, nobody has dared to destabilize Sonia Gandhi from 10, Janpath from last two and half decades. Many object to Vijay Mallya siphoning public money. And yet this daylight robbery .continues. This post has been going around the country being ‘forwarded as received’ by each recipient to several others. The Dynasty Devotees who believe that “only the Gandhi family has sacrificed for the country to win its freedom while “not a dog from any other family” had done anything about it, promptly say the “BJP propaganda machinery” is circulating it. It may be true. But does that make these facts untrue? Ask any Congress worker. Previous Previous post: A Yankee ‘Bhakt’ of Modi?